5 major health enhancements from moderate cardio training. The benefits of aerobic exercise come from positive changes in your heart, blood vessels, muscle cells, lungs and nervous system. Cardio training causes your body as a whole to operate more efficiently, so that you can exercise or work at a higher intensity with less effort. 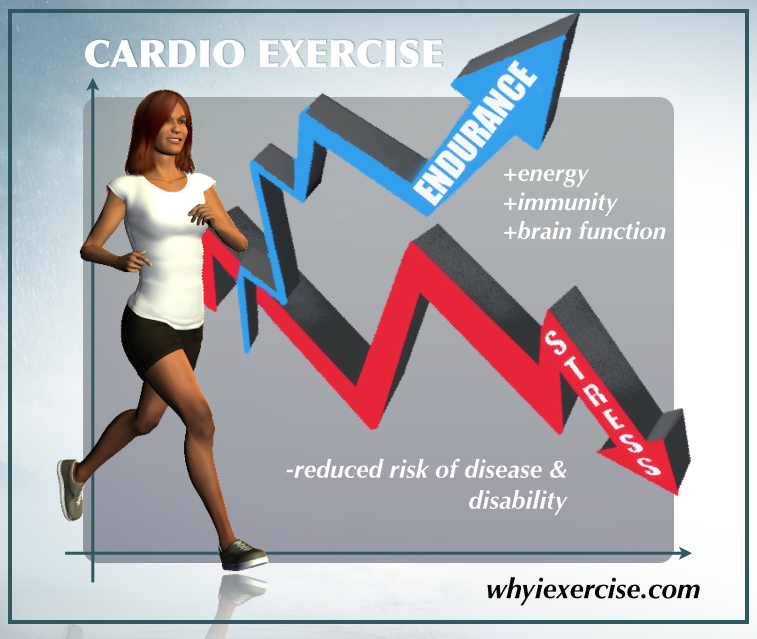 Though the current trend toward high intensity interval training has caused traditional steady state cardio to fall out of fashion, the benefits of aerobic exercise remain scientifically proven and significant, as you will see below. #1 Enhance your cardiovascular capacity. Aerobic exercise causes your breathing muscles to strengthen, which improves your ventilation. Capillaries multiply in your lungs, making it easier to pass oxygen into your bloodstream. Your heart becomes stronger so that it can deliver more blood per heart beat to your working muscles. 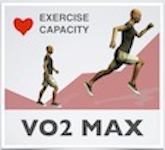 (1) As a result of these changes, you will improve your VO2 Max, which is the ability of your body to absorb and consume oxygen to fuel physical activity. #2 Reduce your cardiovascular & general health risks. #3 Improve cellular energy and your muscular endurance. Cardio exercise stimulates muscle cells to produce more receptors for insulin. This makes it easier for cells to pick up glucose for energy from your blood stream. Cells are also triggered to build more internal energy centers (mitochondria). (1) The enhanced energy production from the mitochondria strengthens muscle cells, allowing them to recover from stress and remove waste products more efficiently. Cardio exercise also trains your muscles to be more relaxed at rest. All of these changes at the cellular level result in improved muscular endurance. #4 Improve your stress tolerance and immunity. #5 Improve the functioning of your brain. Aerobic exercise increases production of brain-derived neurotrophic factor (BDNF), which is a hormone that stimulates growth of new nerve cells throughout the brain. Your brain will grow in response to exercise just as muscles will grow. Studies have shown a 20% greater rate of learning immediately following aerobic exercise. (3) For more information on exercise and brain function, visit the website of the leading physician researcher in this field, John Ratey, MD. In addition to the above benefits of cardio exercise, steady aerobic training is easier to manage for anyone who is out of shape or new to exercise. Moderate effort walking, biking, hiking, stair climbing and similar activities are a great place to start when you are acclimating to exercise training. Aerobic exercise will help you get used to physically exerting yourself and it will help you get familiar with your physical ability level and your limitations. Personal health and fitness directly relates to your quality of life, affecting your decisions, activities, opportunities, and more. 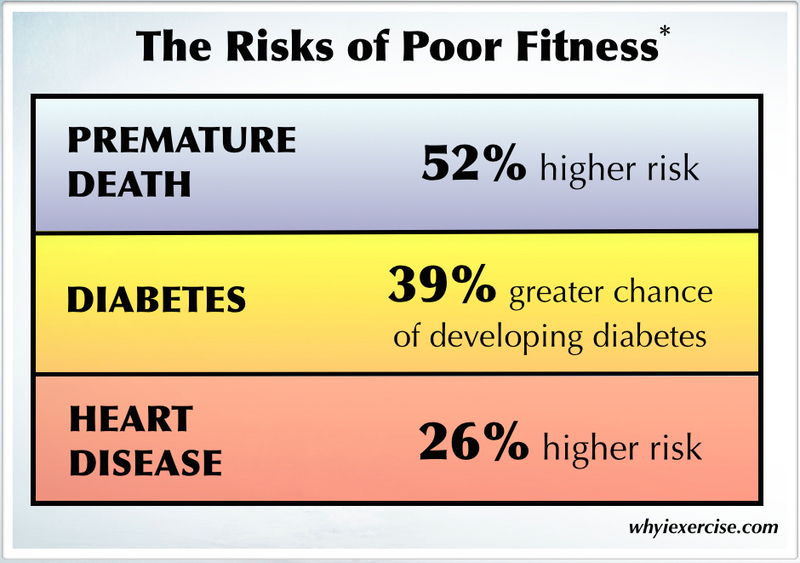 Compare the effects of active and inactive lifestyles. Analysis of TV time included. Analyze your results from the Rockport Walking Test. See the average VO2 Max for your age group and find out how much you need to improve your fitness to lower your health risk significantly. Return from benefits of aerobic exercise to weight loss tips.